This Internal braces serve more as structural supports to strengthening corner joints against compressive failure. 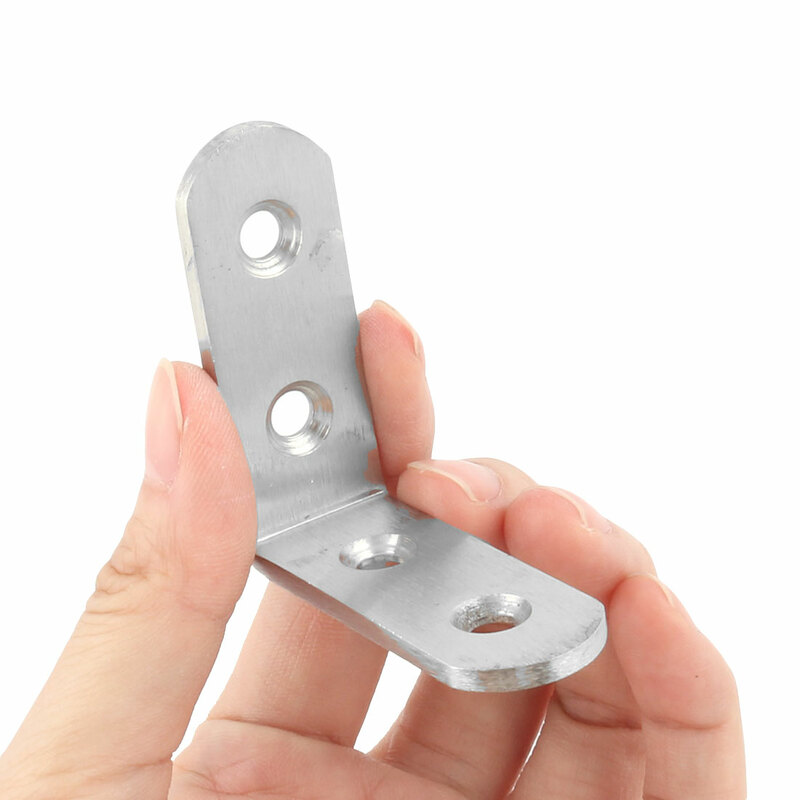 An important mounting parts is used to connect the angle of door and window, make the door more firm. Made of good stainless steel material, widely used in home and factory areas. Product design allows quick and easy repair of general household items. The bolts are not included here. Notes:1. Due to the light and screen setting difference, the items color may be slightly different from the pictures.2. Please allow 1-3cm difference due for different manual measurement. Important fastener to make furniture stay firm. Ideal tool to connect furniture joint corner board.